Top Ender is rather taken with Music Festivals. It's my own fault, of course. Had I not taken her to a couple when she was younger she wouldn't have any clue what she was missing out on and wouldn't spend hours working out the perfect Festival outfits in her bedroom and creating outfits on Pinterest and various other mood boards that are scattered across her bedroom. 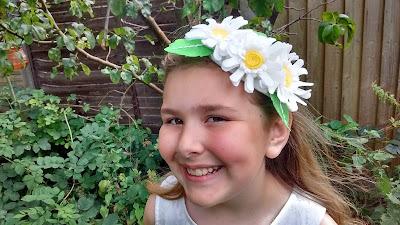 Luckily, because I'm a brilliant Mummy, when Hobbycraft asked if Top Ender would like to review a Daisy Headband Kit I knew it would go with her outfit and she'd love me forever! As I had worked out, I was indeed the hero of this story and Top Ender loved the Headband Kit. To the extent where she eagerly started making the kit as soon as she got home from School, ready to wear that evening to her Guides meeting. She gave up after five minutes and told me that if I wanted it I could have it. 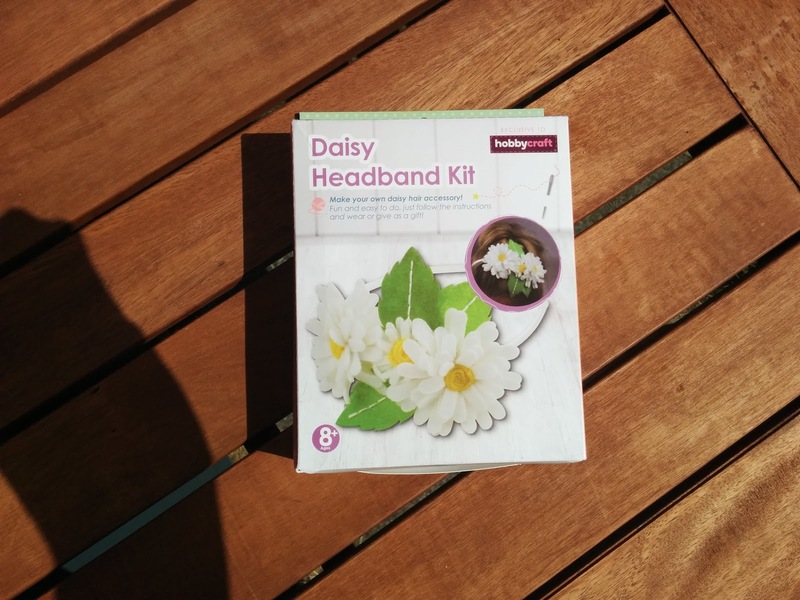 So I went out to the garden, and I sat there and I tried to work out how to make the Daisy Headband according to the instructions. I really did not understand them. In fact, it's only now that I've come to write this review that I realise that it's still sitting on the side waiting for someone to make it. The instructions are a little screwy but I worked it out by looking at the pictures and just hoping for the best. Now that Top Ender has a lovely headband to wear (I have a feeling that it's going to be worn to Church this week) she's less happy about her initial promise that if I made it I could wear it when I wanted to! 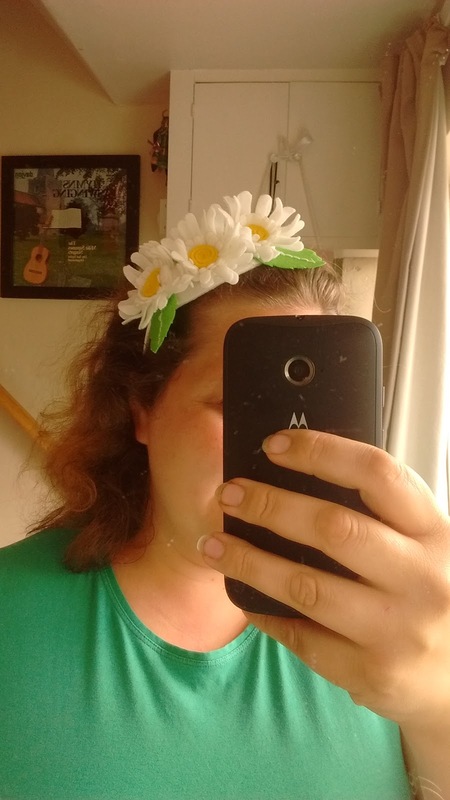 Just don't tell her that I'm probably only going to wear it the once and that was after I'd made it! We were sent the Daisy Headband Kit by Hobbycraft.